Ketchikan International Airport is a state owned public use airport in Ketchikan, Alaska. It is located one nautical mile west of Ketchikan's CBD on the island of Gravina in the US state. Passengers using the airport must take a seven minute ferry ride from town to get to the airport. 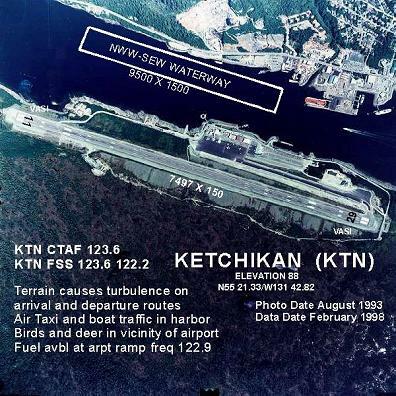 Ketchikan airport covers an area of 2,600 acres and also has a seaplane landing area. If you're flying into Ketchikan airport, pick up a rental car from the airport. Book ahead through Ketchikan Airport Car rental.